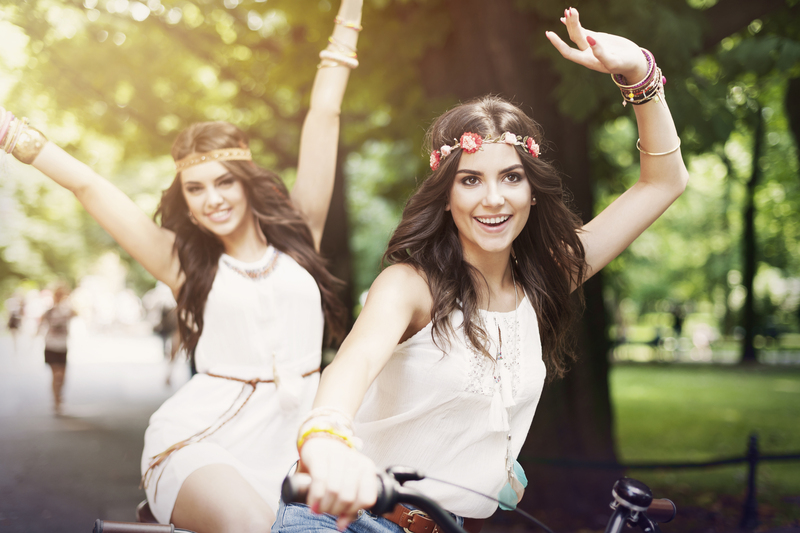 Treat your gal pals to a day of fun adventures – rent a bike, take in the sights and feel like a child again! Don’t have a sweetie to celebrate this year? Or maybe you do but want an extra excuse to celebrate with your girls! Well here it is: Galentine’s Day! Originally created by Amy Poehler’s character, Leslie Knope, on Parks and Recreation, Galentine’s Day is celebrated on February 13th every year. It gives girlfriends the chance to celebrate their friendships over wine and chocolates the day before being able to do it all over again with their bae. This works out splendidly because often times our gal pals are the ones we’d want to spend time with anyways (other than our sweetie on Valentine’s Day). We love the concept of Galentine’s Day and it’s surely on our list of celebrated holidays. Here’s a few thing you might want to do with your best friends this February 13th. Go for a girls only shopping trip – it’s a great way to sneak in getting a last minute present for your honey! Pamper yourselves and have a spa day with mani-pedis, massages and relaxation. Plan a lunch or decadent dinner date to celebrate your friendship. Make reservations at the place your loved one doesn’t really like, but you and your girls adore! Go for a bike ride together and have an outdoor adventure of all the places that were your favorite as a kid. Grab some ice cream or frozen yogurt and feel like a kid again as you race each other to get to the finish first! Make a weekend of it and take a mini vacation. Get a hotel room, go do all the fun and relaxing things on your list, catch up like old times if you haven’t seen each other in a while. Go see a sappy movie that you’d rather not drag your honey to – you know it’d be better with your girls anyways. Have a party to celebrate your friendships! Set the scene with flowers and decorations, make some festive cocktails, invite your besties and have a ball! Take in a show! Get tickets for a Broadway show or a local production – anything with your girls is going to be fun. Get your Pinterest on and make a fun new recipe that’s sure to be delicious. Bake some cookies and decorate them yourself. You could even hand them out to neighbors to get an early start on Random Acts of Kindness Day later next week. Whatever you decide to do with your girls, make it special and let them know how much they mean to you, even if you don’t say it everyday. This may be a day made up by television, but the meaning behind it is real. It’s the perfect time of year to let the ones we love know that we’re there for them. Galentine’s (and Valentine’s) Day is just the perfect reminder to do so. You can rent bikes, buy tickets to Broadway shows, make reservations for Tavern on the Green and come see us for all your sightseeing needs at Central Park Sightseeing.